Bows & Arrows & Swords for the children in Istanbul, Turkey. Drone footage & balloon twisting I did at an Indonesian event in New Jersey. They started to dance when I did DJ services with Dangdut (Indonesian) music. Testing DJ Equipment before the parents arrived. Video is a selfie from the students. 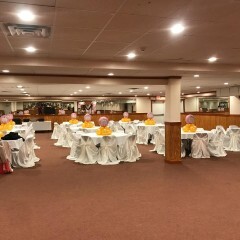 Cinderella balloon decor I did at the Priya restaurant in Lowell, MA. Music is from my Hindi music library. Children playing with balloon decor I made. Twisting balloons in Jakarta. The children never knew I was going to twist the balloons for them. Balloon decor for baby shower. School play with balloon costume. 2. Birthday Aaya like you never heard it before! Fit for a young prince! Balloon decor at the Indonesian ambassador's house in Washington, DC. This is our largest air filled arch. Indonesian ambassador with a balloon bow and arrow that really shoots! Balloon topiaries at the Indonesian ambassador's house in Washington, DC. Squirrel DJ Assistant. The trackpad actually reacts to his movements. I did the balloons, the frame, the backdrop and flashing lights behind the backdrop and the cake table. Birthday at the Priya restaurant in Lowell, MA. The food is wonderful and Halal and it's the best place for your event! I know because I did several parties there. Our new bounce house. Holds up to 800 pounds of children. Balloon columns made with 4 balloons and 5 balloons per cluster for the Boston1 fund raising effort. Balloon twisting for a fund raiser for the IMRC (Indian Muslim Relief and Charities) New England Capter. When I do a balloon dog, I blow into the tail and the kids live it when the tail pops up as if by magic. I also get them involved by having them blow into it to pop it up. They love it when I stretch out the tail after popping it up. This is a set of balloon columns and a balloon arch I did for a baby shower. The balloons were Pearl White, Pearl Pink and Pearl Lilac with a Emerald Green balloon inside a big clear balloon. 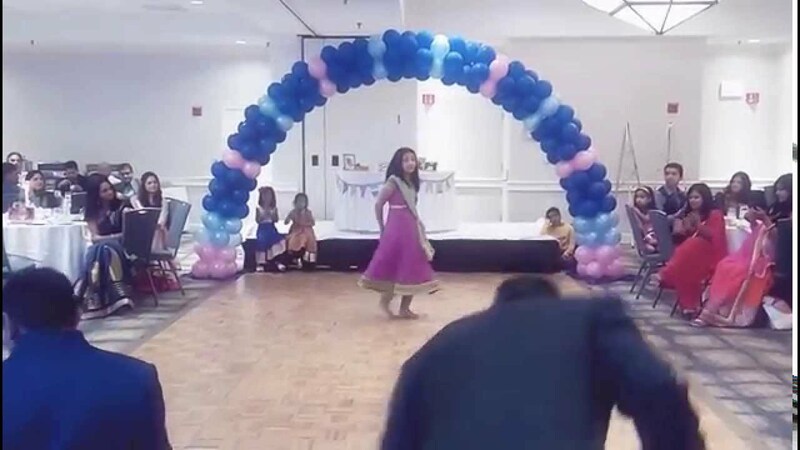 Balloon Decor, Balloon Twisting, Club Style Family Friendly DJ Music in Hindi, Telugu, Punjabi, English, & other languages, Funny Tricks & more! Package discount prices available. Drone video & photos if the venue has enough space and no magnetic interference. DJ price includes EDM, remixes, mashups and originals in Hindi, English & other languages, stage mic & dance floor lights are included! Nothing explicit. Hourly charges are ONLY when I perform. That sets me apart from others. It's so much fun bringing happiness to children's faces and making your party look and sound great. Dietary - I can eat meats if they are halal or kosher. Emad was great. He clearly loves what he does and the kids ((6) 7-year olds and (1) 2-year old) were captivated. The adults were entertained also! He was really great interacting one on one with the birthday boy before the other kids arrived. Doing tricks and teaching him how to do them for his friends when they arrived. He also arrived early, planning ahead since the weather was forecast to be bad, but didn’t charge extra for it. Also very polite and patient. Good with the dog too. Emad u added fun to our party. Emad is very nice DJ. He has good song collections. He keeps kids busy with the bloon twister with lots of patience. Good lights and music system. Thank u Emad so much for adding more fun to our party. Its a challenge for me to fully express all my gratitude for this man in a limited number of words. We just had a sold out event at the Westford Academy for the Chinese New Year celebration. Emad is a parent of a student at our school and he did not hesitate to offer his help at the event. It was the best offer that happened to us. Emad created a masterpiece of a pagoda made out of balloons. It was the centerpiece of our decor and wowed every guest who entered the venue! He was also the DJ and brought all his professional equipments. He provided very beautiful background music appropriate for the event and even control the mic for our speakers. He tirelessly twisted these cool looking balloon arts for each and every child who requested for one and there were hundreds of them. Remarkably he did all this with poise, professionalism and deligent. Needless to say Emad will be coming back again to future events and we hope others will be fortunate to have him for theirs. Emad went beyond the agreed terms to make sure the event looked great. All the props and equipment used for the event were top quality and everyone enjoyed the event. This is our second year having Emad. We had a sold out event at the Lunar New Year Festival in Westford with over 600 people in attendants and Emad was there to help. Emad was great with entertaining the kids with balloon twisting and music. He also created a beautiful Asian inspired balloon entrance to our event. We look forward to having you again next year, Emad! Very good balloon decors, and it has lasted for a long time. Totally enjoy it. Nice to have Emad at our event! Perfect entertainer for kids! Emad arrived on time, and set up quickly for our son's 5th birthday party. We requested that he do a magic show simple enough for the kids to enjoy, and then teach a few tricks afterwards. My son loves magic, and we wanted him to learn and to be able to ask questions at the end. Emad performed simple and cool magic tricks, and then reviewed each one with the kids to show them how it worked. They loved it and were able to participate throughout Emad's performance. At the end of the show, he twisted balloons into various animals for each guest. We were very happy with the timing and value of the experience and highly recommend Emad - he's great! The kids loved the magic show. Everything was as expected and fun. Will definitely book again. Fun party for the kids! 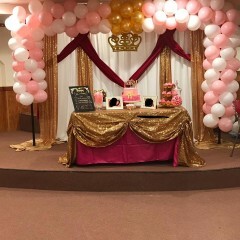 We booked Emaad for my daughters 1st birthday party to do the balloons arch, fancy backdrop, dessert table cover, centerpieces, chair covers, DJ , and entertainment (games & balloon twisting). He did the stage beautifully and it really was the center focus of the party. He was extremely patient and great with the kids, they all had a ball of a time which mattered the most. Emaad provided games, and balloon twisting for the children which was enjoyed by the children and their parents. He really cares about what he does, very responsive through out the entire process of planning and executing, quality of work is great. Emaads costs were very reasonable when compared with other vendors and supply companies. Only critique is that hes a one man show which means a lot of work load on him, we as the hosts had to participate and help him in the process of setting up (putting covers on the chairs). Needless to say we definitely recommend Emaad to anyone whose looking for a one stop shop for decorations, setup and entertainment. For my daughters 1st birthday I had about 12 kids ranging in age from 3-8 and Emad managed to satisfy them all. His illusions were amazing. He was very friendly and patient with the children and his balloon animals were a big hit as well. He was a perfect addition to our special day! Would highly recommend! Great job. Steady line of children and families all day! Upbeat music added to the festivities too! Would definitely hire again. Emad was enjoyed by all! We hired Emad for our 7 year old daughters birthday party and they all loved him. He was very professional, courteous and had lot of patience. He was great with magic tricks as well as Balloon twisting and showed lot of variety for both. I highly recommend Emad for your next Birthday event. He will fill your day with Fun and Joy. Friendly, on time, good communication, and talented!!!! Emad came to our ESY program and entertained over 90 students. He quietly and patiently accommodated each student, their needs, and their desires. He went out of his way to ensure that everyone was happy and included in his balloon sculpting creations. We never actually got to work together. Event was ultimately cancelled due to weather, but Emad was very responsive and cooperative when I needed someone at the last minute, and he returned funds promptly. I will definitely keep him in our data base for the future. We had a party for our 1 year old and had a few babies in the room. We also had about 15 4-8 year olds and we needed to keep them entertained and contained! We hired Emad for magic and balloon twisting and for the time he was there, you could have sworn there wasn’t a single kid in the room!! They were hooked on to his tricks and balloon twisting skills for the entire time he was there. Awesome! He’s like Pied Piper to the kids. Highly recommended!! Eamd was failed to do some of the decor what he promised as per our request. In spite of that I am rating his service as 5/5. Emad did outstanding job on the Twister, EDM DJ & Balloon Decor. My invitees admired his piece of work and overall party management for 3 hrs. His service is value for money. Emad did DJ, ballon decor and backdrop at my daughter birthday party...he was simply awesome....whatever he committed was done perfectly at committed time. Very nicely decored the Princess coach. The balloon decor made the party look grand. Emad was very easy to work with. He's quick with email responses. Guests loved the Princess coach. We just finished an 8th birthday party with our little ones, and Emad joined us for some fun magic tricks and balloon twisting. Emad was very engaging, and the kids' eyes were glued to him the whole time as he performed his tricks. They were waving their hands to help make sure the tricks worked, and as he moved about the room, the kids (sitting on the floor) shuffled around on their rumps to follow him like the Pied Piper. It was very cute and we were very happy to have Emad join us, he really brought something special to the party. We'd highly recommend him! Imad did a great job in engaging the crowd specially kids. Excellent performance, was very professional, on time and was flexible with our activities . Would definitely recommend him to our friends. Imad setup Balloon Decor on a short notice and we also had a Balloon twisting event where he kept all the children engaged very well. he was very patient and calm with the kids and my kids enjoyed the event. Great to have emad in our son party! He did awesome Job. thanks Allot. Very nice person and great work. Thanks Emad for doing great work in my son's Bday and welcome party. All kids had really had good fun. Great service, on time and set up the balloon display exactly how I ordered it. Glad you are happy with the picture frame balloon arch. I would love to see some photos of people in the arch. Emad was great- balloons were a hit! I would refer Emad to anyone. He was very helpful in helping me with the color of the balloons to choose. He was very accommodating to the package price and worked with my budget. Everyone loved the color theme and the balloon arch he created plus the gold backdrop. It was a girl baby shower with purple, lilac, white and gold color theme. The center pieces were also perfect..would work with him again. He allowed us to use his machine to blow more balloons. I would recommend him to anyone for the decor and for his professionalism. Thank you!!! Thanks for the wonderful review! I look forward to working with you on the next event your family has. You are fabulous with the ballons. All of the kids had a wonderful time playing with all of the ballons you had made as well as the magic tricks. We thank you for entertaining the kids. Thanks so much for the review. It was a lot of fun for me as well and glad everyone had fun as well. We hired Emad to replace a DJ last minute who had a true family emergency. He not only fit within our budget but he went out of his way to accommodate us, and was very professional. A high school performing arts Halloween party which included students from the middle school as well is what we needed Emad for, and he definitely delivered! Thanks so much for saving the day! I'm happy that I was available the same night you contacted me and that everyone liked my music and services. Looking forward for future events. He was great with the kids. Very nice and helpful. Kids enjoyed a lot. His tricks were awesome. Best ceremony ever, thanks to Mr Emad, the decorations and awesome DJ skills were all fantastic! I highly recommend him to anyone that needs hos services. Emad showed up on time and made a great balloon arch for our business tent. Thanks for the review. Glad you like the arch that matches the bank colours. We hired Emad for our son's first birthday celebration he was amazing every one loved the decor and DJ music. Many of our friends were impressed with hindi music collection Emad had. He was great with kids and all the kids enjoyed his ballon twisting. Emad kept everyone entertained kids as well as adult. Ballon decor was amazing. He was very co-operative and flexible enough to accommodate all the request we made. It was very good experience for us. Thanks for your lovely review. I was a lot of fun and I'm glad everyone enjoyed theirselves. We hired Emad for my daughter's first birthday party. He was great. Very easy to work with and very responsive by email or a phone call. Kids enjoyed his balloon twisting skills and we enjoyed his Bollywood Hindi music . Thank you Emad !! Thanks for the nice review. Your party was very well organized and I had fun as well. 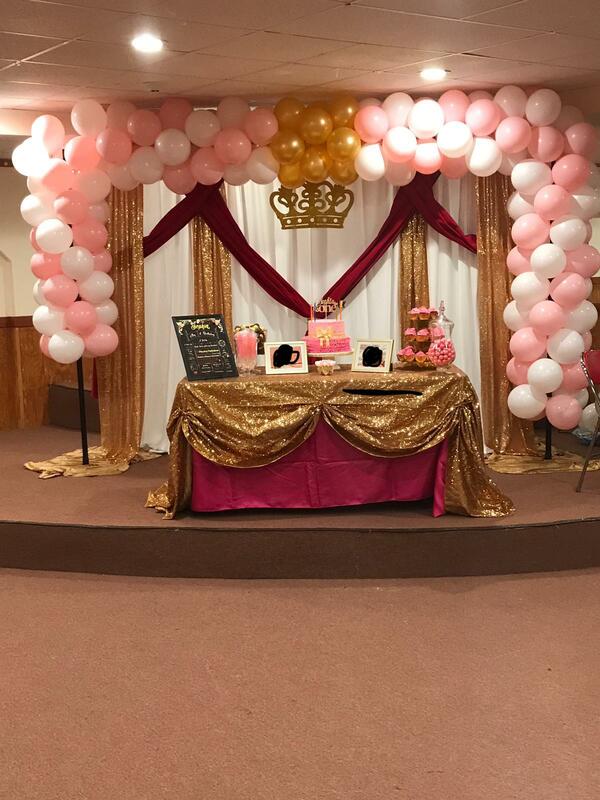 Emad did a wonderful job in doing ballon arch, arranging cake table, back drop , centerpieces and entertaining kids by balloon twisting.He has suggested some beautiful ballon colors for the arch.We were very happy with the work. Glad everything turned out well and everyone liked the decor. Making the balloons was fun for the children. When one child found out about the bow and arrow balloon that shoots most of them wanted the same thing! Emad was absolutely great to work with, with quick responds via email and prices that beat competitors in the area. His balloon are great quality and are great for any occasion, we used him to decorate our schools auditorium for graduation and everyone was blown away! Thanks for that wonderful review. Glad everyone liked the giant arch. Emad did really a great job in our open house event! Emad was very easy to work with and he delivered the decor as promised on time and with good quality. His balloon twisting was a hit at the party and he patiently dealt with more than 25 kids at the party. I would absolutely recommend him for birthday parties. Glad it worked out well. It was fun. I look forward to doing future parties for you. We are so glad that we had Emad for our daughter's second birthday party! The Balloon decor was so well done. Since we had a Minnie Mouse theme, he color coordinated the balloons so well that the balloon arch and the columns gave a perfect background behind the cake table. He engaged the kids so well in the party with his magic tricks. Even the adults could not resist the excitement and enthusisam. Balloon twisting was so much fun for the kids of all ages. The Indian DJ services that he provided were well arranged and mixed. Highly recommend Emad's services.One of the most important thing about Emad is that he would ask for your preferences and would try to coordinate as per your budget. Would definitely look forward to work with him in the future! Thanks Emad for making our special day so memorable! Emad's DJ was excellent. He played both Tollywood and Bollywood songs for my daughter's 3rd birthday. He performed magic tricks as it was with the package. I would definitely hire him again. Kids at party enjoyed very much. Thanks Emad. Very professional. Booking was easy and responses were very timely. Emad showed up on time and to set up , his price was fair. He entertained the children and adults with a few of his signature designs. Only thing I would ask if any is for more variety of his designs. Glad you liked the balloons. I actually make about 50 designs but only make what the children want which happens to be swords, bow and arrow sets that shoot, flowers, etc. Some of the more elaborate designs include a unicorn hat and a martian helmet. If a child can't make up their mind, I will make one of the fancier designs and many of the other children will want the same thing. I ask that you look at my gallery and you will see some of the other designs I do. Best theme decor with reasonable price! Thank you so much Emad for making my event colorful and making the my theme look perfect as I imagined and the way I want . I'm glad you're happy with the decor. I hope it's ok for me to post that photo of your family in front of the decor so everyone can see what it looked like. We invited Emad to decorate the room for our event. There're beautiful balloon arch and towers that have made the room more fun. The magic show was entertaining for the kids and the show was interactive. Great balloon twisting also. Thanks for having me in Washington, DC. I’m glad everyone and the Indonesian ambassador liked the decor and my entertaining. It was a lot of fun. I see he had fun with the working balloon bow and arrow. Emad provided exactly what he offered! The balloon columns came out great and the children were very pleased with the balloons and he even had a few extras. Highly recommended! Glad everyone like it and had fun. So did I. Fun DJ with a Balloon Twisting Talent! Emad the Twister played some really great mix-ups and mashups, combined with a few top 40 hits. The crowd enjoyed his music. He was very accommodating to requests and was just great to work with. And on top the "spinning" he also did balloon swords and puppies for the kids that were HUGE hits. 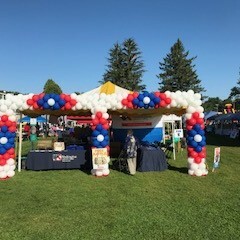 Emad made a balloon display for our business booth in our 20x30ft tent at a local fair. The display outlined the side of the tent. It was 9ft high and 20ft long. He did a great job. He arrived 3 hours before the event to make sure it was completed in plenty of time and made it according to our specifications and using our company colors. The display held together throughout the day and acted like a beacon for people to come over and see us. He arrived on time after the event to disassemble it too. Thanks Emad! Glad it turned out the way you wanted it and I'm also happy that most of the balloons stayed inflated even in the sun. I had the pleasure of seeing Emad at a birthday party I recently went too. I was impressed at how many different things he did and offered. All the kids enjoyed themselves very much and the parents were happy that their kids were happy! I had fun as well and it makes me happy that everyone was also happy with my services. 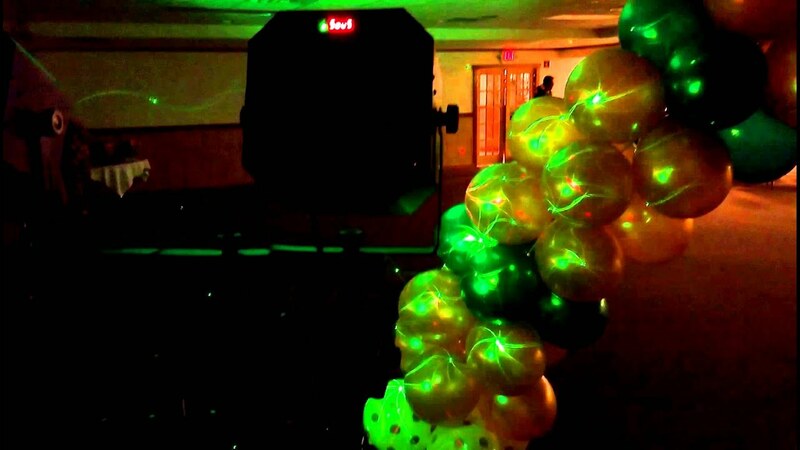 We hired Emad to do the Balloon Decor, DJ, Tricks/Twisting and Party Lighting for our Son's 1st Birthday Party. The balloon decor was magnificent and made the party stage and cake table look very grand and royal. It turned the party into an extraordinary and a memorable one. The guests were all very delighted and they all were very much in awe of the decor. The kids thoroughly enjoyed Emad's tricks and balloon twisting. They were always around Emad. For the price, Emad provided an amazing service. The custom birthday song that Emad created for my Son was simply superb! Emad's courteousness and pleasing personality is a huge plus. All through the process of booking, setup of equipment and take down, Emad's diligence and attention to detail is highly commendable. I would recommend Emad to everyone to make their party a grand and unforgettable one. Once again, Thanks a lot Emad! Thanks so much for that amazing review! I had a lot fun as well. Emad did an excellent job in doing the balloon decor for my 1-year-old kids birthday party, everyone was amazed by the decoration. He was very responsive to all our needs and requests and kept the kids busy and entertained. He had a good selection of music and was able to play the songs that we requested. He also did a great magic show that every kid enjoyed. Overall a great package for the kids birthday. I'm happy everyone enjoyed my services. It was a lot of fun and I also enjoyed watching everyone dancing and enjoying the music as well. See you at your next event. Emad was very professional, kind and his balloon decorations/center pieces were beautiful! He communicated his plans clearly and delivered the creations on time! The kids has a great time admiring and playing with them! Thank you! I'm happy everyone liked the balloon decor. I look forward to entertaining and providing other services to make your events memorable. Thank you for a wonderful and creative design. You are awesome! Glad everyone liked the balloon decor. Emad is a very professional and talented ballon decorator and children's party entertainer. Kids and adults enjoyed his tricks, ballon twisting and DJ. Will give 5/5 stars for his work. Glad everything went well. It was a lot of fun. We hired Emad for the second time to provide Balloon Décor and he knocked it out of the park. We are a Special Education Parent Advisory Council in Methuen and our tagline is Helping All Children Reach for the Stars and he provided two amazing stars in Methuen's colors and they even waved to everyone. Glad everyone liked the moving stars. Thanks for the review. It was fun and many of the children already knew who I was from other parties when they saw me. Emad was very professional and polite. He kept in contact and confirmed arrival and details in a timely manner. The overall performance was a big let down. He performed very outdated magic and the actual show only lasted about 30 minutes. For the remaining 90 minutes he made balloon swords. Several parents at the party made negative comments and asked me how much I paid. I thought the $300.00 for 2 hours was reasonable, however for the service that was provided I did not think it was worth it. He also started performing a magic trick while my son was opening his gifts so all the kids stopped watching gift opening and looked at what he was doing. The good news is I asked my son if he had a great party and he said it was the best party ever!!!! At the end of the day that's all that matters. However I was disappointed and perhaps I should have asked more questions, but when someone has 96 raving reviews you figure you can't go wrong. Sorry that the parents did not like the performance but I'm glad all the children liked the performance and balloon bow and arrow sets that shoot and the other balloon animals that I made. The kids loved the bounce house too! He was on time and comes with a great price & also flexible with short notice. Glad everything turned out well and also glad that my DJ services saved the day! I had a lot of fun as well. I booked Emad twice once for my baby shower , and for my daughter's first birthday . His work is very good, and exactly what I wanted . The children enjoye the twisting. I would definitely book Emad in the future. Thanks for that nice review. I had a lot of fun and the food was very tasty. We had a part for 1st Birthday for my twins, there were around 25 kids of different ages. Emad did a great job keeping all the kids entertained with balloons twisting, magic trick and DJ music. His DJ skills are excellent and he also played customize birthday song with kids name. Balloons twisting was super hit too for kids. Emad you made it a great party for all the kids, Thank you from all of us and all the kids you entertained in the party. I will defiantly recommend you for friends and family party. Thanks for the reivew. It was a lot of fun. Dj and balloon twisted for my sons birthday !!!! Emad has done balloom twisting and magic show for my sons bday for 6 years . Kids love it every time! He is always on time and the price is great . He started dj gigs and he did my sons 6th bday party for halloween this year . It went perfect .. Also did the balloon twisting in between . The kids love him . Worth hiring ! 20 plus kids, from age 3 to 11, were enthralled, totally engaged and had a great time for more than three hours. They did not want him to stop. He looks like someone right out of Harry Potter, but clearly loves children and has a talent for engaging them . Hilarious party tricks, which could be part of a magic show , are explained to kids and he involves them in the show. Our daughter anc her friends are unlikely to forget the fun time. The fantastic music selection, DJ skills are icing on rhe cake, and finally all the kids line up for their unique balloon creations. On top of everything his prices are the most reasonable of many that we checked out. We are very satisfied with the performance. My daughter says" the illusions really twisted our brains...the balloon tower is cool..me and my friends had so much fun the whole time"
Thanks for such a nice review. I had a lot of fun as well. What a day .. Thank you so much Emad ,you absolutely did great job ..we were pleased to have you , all the kids loves the design of their balloons,the DJ you played ,the songs you picked is just right!! !our party wouldn't have been complete without you ....we will consider bringing you for all our other occasions. I look forward to your next event. We've had Emad do all of our functions for the school. We are very pleased with him which is why we keep asking him to come back. 12 events and counting! Thanks for the review. Glad to be part of the kids lives and the adults as well. We had Emad entertain at our annual end of year celebration we had over 60 children ranging in ages 5-13. He was great, all the kids loved him and loved his ballons. We hope he'll return to our events every year! Glad everyone enjoyed the balloons. The working bow and arrow balloons were the biggest hit for everyone. So what to say about this gentleman.. Emad is a sweet man, talented balloon twister and DJ with very responsible prices.. Very pleasant to work with just an amazing man all around. An amazing man who donated his time to a charity raising money for the homeless. Very hard to find now a days.. No bad words about Emad over here.. Thanks friend..
Glad to help. It was a lot of fun. we had our son's 1st birthday in Priya Restaurant and hired Emad to balloon decoration, entertain the kids with balloons twisting and some tricks. Every kid (ages 1 yr to 14yrs) had a very good time and enjoyed the Balloon twisting and some tricks. Balloon decoration was fantastically done. Thanks for the review. It was a lot of fun. I also want to let you know that I now also DJ Hindi music. Emad is very talented and it was absolutely fun working with him. My client simply loved the balloon arch and he did a great job. I would definitely recommend him for any kind of balloon art without any doubt. glad your client like the balloon arch. We hired Emad to entertain at our home for our son's 9th birthday party. The music was current, upbeat, appealed to the kids and sounded amazing! His balloon twisting skills were fantastic - he saw the boys running around with Nerf guns and Nerf bows and arrows, so he made bows and "arrows" out of balloons that actually worked! The kids loved them! He was very friendly and polite. Thanks, Emad! Thanks for the review. Glad everyone like the music, tricks and balloons. Fabulous day at the Methuen SEPAC fair with Emad. Thanks for the review. It was a lot of fun and I'm glad everyone also like the balloon decor giant stars greeting everyone at the school entrance. 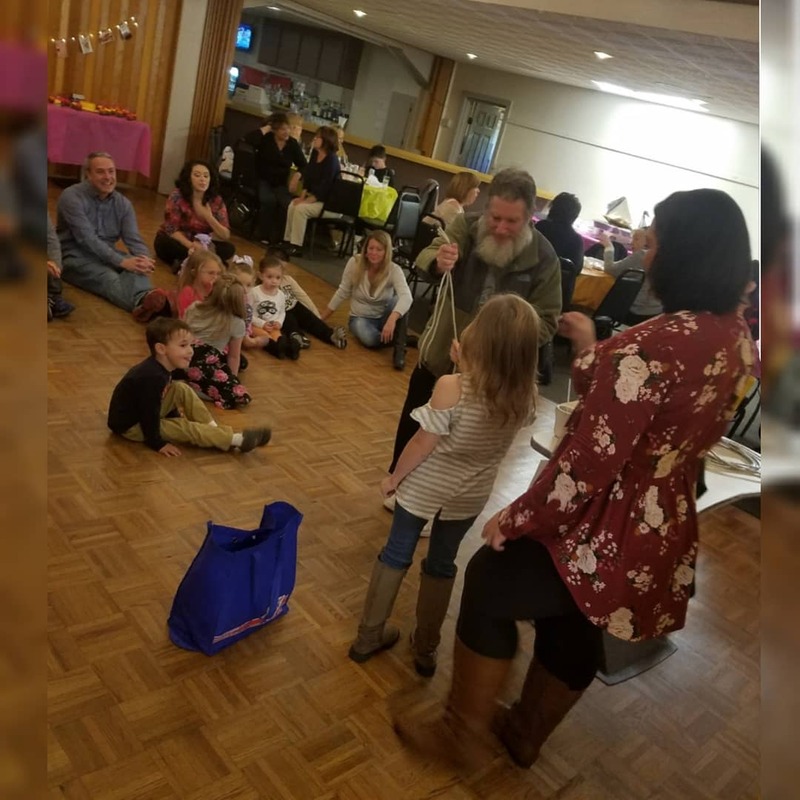 It was 100% entertainment for the family and guests with the arangement that Emed had put for our daughter's 5th birthday. Great balloons setup, good dj music and lots of balloons and figures for the kids. Our guests had a great time and will definitely recommend to everyone for the impeccable service and entertainment that Emed put up for us. Emed you made the event a memorable experience that we will cherish for a very long time. It was a lot of fun for me as well and the music you let me have for mixing for the party was great! Emad executed the work exactly as discussed and the entire balloon decoration was simply superb. The balloon decoration was a great hit at my son's birthday party , kids enjoyed balloon twisting and everyone had pleasure listening to Emad's music. Glad everyone enjoyed everything. I'm glad you liked my DJ music as well. Emad did a wonderful work at our son's first birthday party. The balloon decor was Awesome !!!! He came on time and finished everything nicely. He put lot of hard work behind and make sure it looks perfect. Thanks Emad for the wonderful decoration !!! Glad everyone liked our work. Glad everyone enjoyed my Hindi music and balloon twisting for the children. Emad did wonderful job with Ballon decoration. I had jungle theme for 1st birthday and had given some ideas to decorate as per the theme.He did excellent to implement them.he also did great center pieces. Kids had lot of with the twisted Ballons and entertainment. Glad everyone had fun as well with the decorations, balloon twisting and DJ Hindi music. We had Emad at our babys 2nd birthday all d kids who came for d party were attracted to the ballon twisting by emad,he did a god show, i definitely recomend to friends. Thanks for the review. Glad everyone had fun and enjoyed the DJ music and balloon twisting. We had Emad the Twister at One Stop Fun on a Carnival Day and it was great. All of the kids were happy and the balloons were awesome. We even had to extend his time for 2 hours. He will be back! Glad everyone liked the balloons and the DJ session I did. Some of the kids started to sing along so I hooked up a mic and they sang into it. I would like to Thank Emad for all the great balloon creations he did at our kids holiday party. I think the bow and arrow were the most popular. Thank you again. The working balloon bow and arrow sets were a big hit. Glad I made them for everyone. I hired Emad for my son's 7yr birthday party. All of the kids were very happy, Emad was able to keep their attention for two hours. He's funny and interesting. It was a lot fun for me as well. That's why I love doing this type of work. Emad successfully led the party of 8 boys, kept them busy for two whole hours. One kid told me that "the party is awesome, no, it is more than awesome"
He is professional, kind and funny. Will definitely recommend him to my friends. Thanks for the wonderful review. It sure was a lot of fun at your party. I found Emad on Gig Salad and already thought he was talented, but after he did a Halloween gig for me, I could not believe how he took all of my photos of what I wanted and brought them to life. As a party planner, he made my life so much easier! Will be using him for a few of my other events this year! Thanks for the wonderful review. Glad everyone liked the pumpkin towers, cat towers, giant spider and balloon twisting. I look forward to doing more decor and entertainment work for you. Emad did such a fabulous job for my sisters baby shower this past Sunday. Not only did he decorate but also performed tricks for the kids. I would highly recommend his services! Thanks for the review. Glad everyone loved the balloon decor fancy arch and greek columns and it was also fun twisting the balloons and doing tricks for the children. Emad was very responsive during the planning phase and he communicated with us for every piece of the decor. He gave us the exact colors we requested and even came prepared to make sure everything was done on time. The minnie columns and the arch looked great. Kids had a great time with the balloon twisting and the magic show. I would recommend Emad for anyone who was is on a budget and wants to work with someone who is very accomodating. I'm happy that all went well and you liked the balloon decor. It was a lot of fun to make and I had fun with the children as well. Kids had lot of fun is what I heard from everyone. Few parents said they were very impressed that kids were very entertained and Emad was able to hold there attention. Emad was very flexible and arrived on time. I would get Emad any time I host another big party. It was a pleasure and was fun. We hired Emad for our two sons' 2nd and 5th birthday party!!! The kids loved the magic (especially the 3-5 year olds) - I could not believe how long they sat for!! And the balloon animals were good too!! Emad was on time and very pleasant! Great birthday entertainment!! Thanks for your kind review. It was a lot of fun and I'm glad the children enjoyed turning into magicians. I watched Emad's magic show and was very entertaining. I would highly recommend him. Thanks for the review. It was fun turning the children into magicians and twisting the balloons for them. We hired Emad for our son's 5th birthday party, he was awesome! He was a big hit with the children, the entertainment was perfect for the occasion. I would definitely get him again! The magic tricks where for the kids but the adults and kids also enjoyed it. It was fun. Glad the bounce house and everything worked out for your party. It was fun. The food was good and my wife also enjoyed the food you gave me. For my son's first b'day party, we have taken his service and it was so awesome. Everyone in the party was so amazed. He has such talent to fulfill the customer needs. i have sent him the picture of what we wanted for the balloon design with big arch, and he delivered better than that. He came on time and cleaned up everything on time. Very nice person to work with. All the kids in the party loved him and they all loved his cool tricks. Definitely i would recommend him for anyone to have a great party with fantastic balloon designs. I had Emad over at my house for a birthday party for my kids. He made a huge colorful balloon arch and brought along a bouncy house with a slide. Hi balloon making was phenomenal and very enjoyable for the kids. They were ecstatic. Emad is wonderful. He gives you more time than you paid for and doesn't leave on the dot like other entertainers do. He was very flexible and a great joy to have at the party. I would very highly recommend him for any party. I would give him more than 5 stars if I could! Thanks, Emad! Thanks so much for the super nice review. Emad handled our large crowd very well. He was very patient and interacted well with both children and the adults. The children loved the balloon twisting. It was a pleasure entertaining everyone. Thanks a lot Emad for being part of my son's birthday. You are a great person and you did a great job with the balloon twisting . The bounce is great and the kids spent the hole party there .It was so funny! In general amazing service! I would hire again anytime. I strongly recomend you! Emad was great with all the children at my sons 7th birthday party. They all loved his magic tricks and are still talking about it days later. He was also great with the adults, making crazy balloon hats for everyone. He also brought a bouncy house to the party which all the kids loved. Thank you our party was a blast! It sure was fun for me as well. We hired Emad to do a flower balloon arch for my daughters first birthday. It was so neat and perfect and same as what I have shown him for reference. He was so careful in picking up the color for the arch stand cover. He matched everything so good. Everyone liked the arch.Thank you. Glad everyone liked the arch. It was fun to make. Great work & very friendly! I hired Emad to make a 20ft balloon arch for a large event (1,000+). I was in contact with Emad numerous times before the event and he was always so friendly and helpful. He was accommodating and even came the night before at 9pm to set up for us. Emad took down the arch very quickly and gave the balloons to the children. There were a lot of happy little (and big) kids running around. It was so nice of him to make some balloon animals for some children as well on his way out. I would definitely use him again for future events! That was such a nice review! I'm happy everyone liked the balloon arch and it was my pleasure to give away the arch balloons and make some extra balloon animals for the children. Emad came down for Medford Public Library's Fairy Tale Ball. He was early for set up and did a wondeful job creating myriad balloon animals. There was always a line for his creations! It was a lot of fun. I'm glad your volunteers liked the working balloon bow and arrow. We had Emad over for our son's 3rd birthday party. He's professional, arrived on time, and kept the kids entertained. We rented the bouncy house, had Emad doing the balloon twisting for kids, and had him doing some magic tricks too. The kids (and the parents) had a blast!! Thanks for the really nice review. It was a lot of fun. Brother Emad did the balloons for our fundraiser. Our design was perfectly executed and everyone loved it. I'd be happy to recommend him. I'm glad everyone liked the balloons. Balloon decor provides the missing link to make a party or event memorable. Emad did a wonderful job decorating our stage. He also did an amazing job doing animal balloons for our children. Thank you Emad for an amazing job!! I'm glad everyone had fun and enjoyed the Balloon decor arch. Emad did a great job for balloon decoration, He made a beautiful arch which was appreciated by most of my guests at the party. He entertained the children in a great manner with his tricks and balloon twisting. Glad everyone enjoyed themselves. I also had a lot of fun. Balloons and so much more!!! Emad was fantastic. I thought he was just going to balloon animals but he came with a whole magic show set up. He entertained the children (and adults)with tricks. He involved the audience in every magic trick and re-did tricks so other could try too. He did many balloon shapes such as crowns, bow and arrows and dragons. The balloon tower was unbelievable! A beautiful decoration and conversation piece! It also was great to take photos with. You will get such more than you barging for when you have Emad the Twister entertain for your party!!! Thanks for your review with such nice words. I had a lot of fun and am glad everyone enjoyed themselves. The balloon tower will last you a long time of you keep it away from direct sunlight. Great time with great entertainment! Thank you Emad for everything! We all enjoyed your show! We had our son's 3rd birthday party in our house. Emad showed up with beautiful balloon tower, which kids loved. Without Emad kids would have been just fighting for toys. Emad kept kids entertained the whole time! They loved the ticks and especially the balloon twisting! Emad also kept parents entertained and many were asking about pricing and thinking to hire Emad for their events in future. We are truly glad we hired Emad and will hire him in future In Shaa Allah. Thank you Emad for such a wonderful time you gifted each child with at my son's birthday party at the rainforest cafe! The kids forgot all about the place and were so mesmerized by all the different kinds of balloons that you made for them according to their preference of color and favourite character. You were awesome! The balloon tower was simply mind-blowing! Thank you once again! All I can say now is WOW!!! It's really fun to make the balloons for the children and I love it when they are happy with those balloons. I'm also glad they like my new balloon bow and arrow. It was so popular. Emad entertained the children (and adults) at my daughter's 5th birthday party, he really kept the children engaged and they had a blast. Even my 19 month old son stayed interested. He was great, the parents got a little break from the running around and he even stayed to make sure that all the children got a special balloon animal, flower, sword, hat, etc. We had 20+ kids. I highly recommend him to entertain at any child's party, we really enjoyed his routine! I had fun as well and I'm glad everyone enjoyed my entertainment. 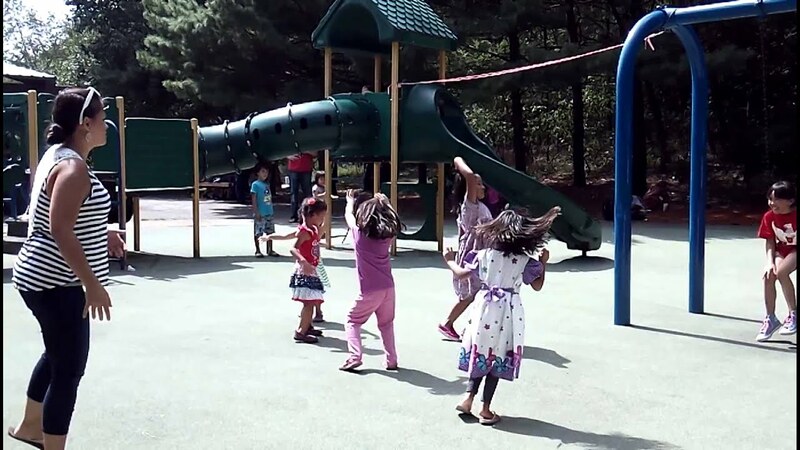 I'm the Principal of a small private school and have hired Emad for several years for our events such as fund raisers and school programs and parties. He is amazing in what he does. Last year for our fund raiser we had him do balloon decor for the main hall in a hotel where we had the children do a play and he made 2 of the most beautiful balloon columns to decorate the stage. We had him in a separate room with some other adults to keep the children of the parents who were attending the fund raiser busy. He made balloon animals that all of the children loved. He also did funny magic tricks and I mean really funny! I do have a warning though. One of the tricks he does will get you nervous because he borrows a dollar from you to test in his counterfeit detector. I couldn't believe it when I say my dollar get shredded into pieces after he opened up the back of the detector. I said to myself I have to accept the loss of my money but he assured me with the help of the children the shredded up dollar will be back in one piece by using the children's magic powers. We put the shredded money into a steel pan and Emad covered it. He gave the children a sealed bottle of super glue and told them not to open the bottle but to just wave it over the pan. After the children finished waving the bottle over the pan he lifted the lid and low and behold the dollar was whole again!!! Really!!! I can go on about the other tricks he did but will leave it to you to hire him to see for yourselves. He's worth far more then what he charges for everything and he made sure I was happy with everything. Emad is excellent value for Money. We all Loved him. Thanks for your review. I'm glad everyone enjoyed themselves. Emad got the kids very engaged first with his magic tricks and then with this baloon twisters. I met him doing his tricks at a friends birthday party. And Hired him to do the same at my sons birthday. I had a lot of fun with everyone. Emad did an amazing job with balloon decoration for my son's first bday party. He is very accomodating and works within our budget and works with our inputs very well. He was very entertaining with his magic tricks and balloon twisting and made sure the kids had a great time. Overall it was a pleasure working with Emad and I would certainly recommend him. I had a lot of fun as well. Emad kept the kids completely engaged! Emad was kept the the kids engaged. Definitely fun for the younger group ages 6-10. He was on time and I could tell he enjoyed his work. Emad has very engaging and held the kid's attention throughout his show. He engaged all the kids aged 1.5 to 6 and involved the adults as well. he also made as many balloons as everyone wanted. i would definitely hire him again and recommend him to everyone. awesome show for the money! Emad did a great job for my wife's baby shower in a very short notice. He did not have any time available on the day we had the baby shower, but made time for me on the previous day just to accommodate us. He is very pleasant to work with and has great ideas with balloons. Our guest loved the decoration and my wife really loved the decoration he did and he is priced very reasonable as well. I would recommend Emad any day to anyone who is looking for balloon decorations. Thanks for the nice review. I'm glad everyone liked the balloon columns and swag string of pearls that had balloons stuffed inside balloons. Emad did a great job for us during Dracut Old Home Day. He was there for 8 hours making balloons and was very professional. We also used him for balloon decor of a 20' arch and a balloon column at a different event. Thanks for that wonderful review! great witht the kids. arrived on time and even staywd fewinutes after to give baloons to two late comers! kids had great time! Thanks for the review. I had fun as well. Emad was wonderful, the kids had a great time we did't want him to leave. I will definitely use him in the future and also recommend him to everyone I can. Very entertaining, accomodating and friendly! to get it started. All the kids had lot of fun with balloon twisting - he made many shapes like butterfly, swords, flowers etc. he also did magic tricks. I will say he is all in one! Emad is one of the most pleasant people that I have ever worked with. He is kind and was most accommodating to my requests. He stayed in contact with me and answered my questions within minutes. I asked if he was willing to wear a themed costume, and was more than willing. The magic tricks were amazing, Im still trying to figure some of them out as to how he did it. The balloon twisting was good as well. The centerpieces were a work of art. You can not go wrong with Emad, he is very good for entertaining both children and adults. I am very grateful for all his efforts. Likewise it wasfunfor me as we'll. Glad to be of assistance to everyone! See you for yournext event. We got what we expected and he is very friendly. He did a great job at my daughter's birthday party. It was fun as well. 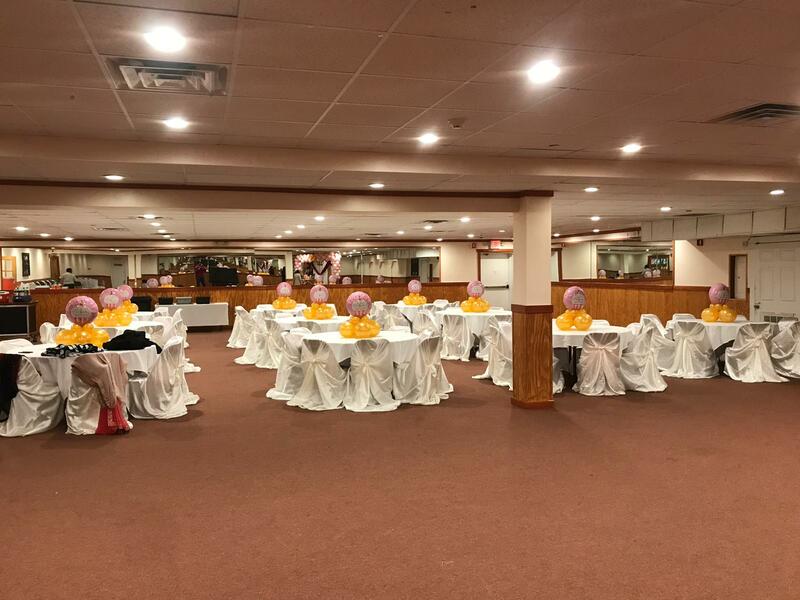 The Priya restaurant function room was a perfect place to have the party. Amazing balloon twisting by Emad!! Emad has been balloon twisting at our events for years now. He is friendly with the children, kind mannered and professional. He can twist and tie balloons into so many different shapes and characters. We highly recommend and appreciate his services!! Thanks for the really nice review! I first saw Emad's Balloon decoration at our cousin's party. I liked it so much and have had him decorate for our baby shower party. Although he didn't much have experience with what I had in my mind for the decoration (i.e. curtain/fabric style decoration), he was really patient to look into various options and try out different things. Finally, the decoration came out really well and everyone liked it. Glad everyone liked the India style baby shower decoration. It's becomming popular now. A friend of ours is going to use it for their wedding now. I hired Brother Emad for making a balloon column for decorating my childrens bday. The balloon column turned out to be very attractive and the kids had a great time playing with it. Emad was professional with time and delivery and he accommodated me in very small short notice. Emad is perfect for any child's party. It was my daughter's 1st birthday. I had all different age groups of children coming to the party. Emad was terrific with all the children including the adults. His magic is amazing. He grabbed everyone's attention. The balloon creations he made for the children and the adults were very impressive. Emad took his time and made sure everyone got a chance to have a balloon creation. He is great at what he does. I would definitely hire him again. Thanks for the beautiful review. It was fun. We had hired Emad for our Daughter's 2nd Birthday to twist balloons. Little did we know that he would also perform magic tricks. He really captured the attention of all the kids in the party with the tricks.He knows how to engage the kids and was really patient with them. He twisted them balloons of their choice and never hesitated to twist another one. So if you are having a party, trust me, Emad is the person to hire. Thanks for such nice words about me. It was fun. Emad gave a wonderful performance for our son's 6th birthday party last weekend. All the kids went crazy for the magic tricks. They especially loved the one where he "cuts his arm off". They are still talking about it a week later. At the end he spent plenty of time letting each child get a balloon twisted into what every they wanted. He is patient and has a good sense of humor. Kids of all ages loved it! It was really fun doing it. 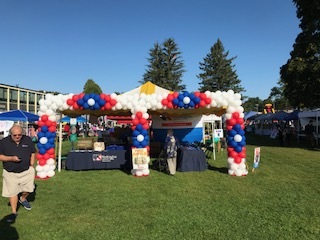 Emad came to make a balloon arch at the Relay For Life Methuen/Merrimack Valley event on Saturday, June 1st. It was excellent and everyone loved it! Great job and would definitely hire again. Thanks Emad! Thanks for the nice review. It was fun making it. Glad everyone liked it. with all the children (3-7 years old). He did a magic show before he did balloon twisting, and all the kids had a good time with the magic show and the balloons. Thanks, Emad! Emad was really great, got lot of patience and understands our requirements and full fills it. He is very professional and on time and very reasonable pricing. Emad created a beautiful rainbow balloon arch for our Wizard of Oz themed KidsFest Event. It was 18'X18' and had red, orange, yellow, green, and blue, with white areas at the bottom to represent clouds. He was very professional and took the time to make sure the arch was perfect even though he ended up making it bigger then expected. Though time management was a bit of a problem. So glad we chose Emad!! Emad the Twister was amazing. He did a great job. The kids ALL loved him from ages 3-10. For days they talked about his magic tricks and wondered how he did them. The little ones were crazy about the balloon animals. He took his time, never was rushed. Seems like he just loves kids and knows just how to get them involved and captivated. My older child has been begging to please see if Mr. Emad is available for his birthday this year!! You won't be disappointed. i have no words to say how happy i was with Emad's performace on my daughter's 3rd birthday party. We had asked him to make the balloon columns which came out great and everyone in the party was amazed by them. The columns added the beauty to our party, and kids were so happy to see balloons. Emad was so good in keeping kids entertain by his magic tricks and balloon twisters. Kids were so busy all the time. Emad is very patient and kind to kids. He was not frustrated by kids asking for twisters again again. Kids love him and his tricks. We had Emad last year also and this year and difinitly he will be on our future kid's parties also. 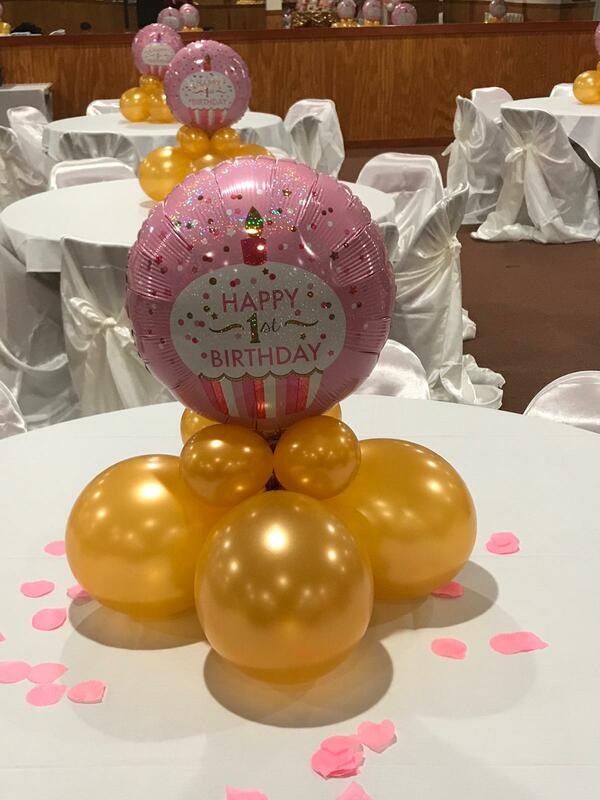 Emad can do so many different things with balloons that can add a charm to the party. Thanks so much for those wonderful words! I had Emad for my son's 8th birthday party. He was great with the children and entertained them with magic tricks and balloon twisting. I recommend hiring him for any occasion. Thanks so much for the generous tip and the great review. Please let you friends know about me as well. He made our party perfect. Had Emad for our 3 year old birthday and the kids just went crazy with the balloons and kept asking Emad for more. Thanks for keeping the kids entertained. You are very welcome. It was a lot of fun. I look forward to making the children happy for your next event. Emad is an exceptionally talented person and can entertain both kids as well as adults with his Balloon magics. I would highly recommend him for all occasions where you need to entertain kids. Kids love him. Assalam alaikum wr. wb. Syed. Thanks for the good review! It's greatly appreciated. Inshallah, see you on 14-Dec for more balloons and tricks. Emad is great with kids. He captures there imagination. Thanks so much for your review. It will help others make sure their children will happy for the time they hire me. I look forward to doing more entertainment for you and your friends. Emad was the perfect addition to my son's 4th/7th birthday party. All of the kid's were amazed by his magic and loved having their own personal balloon twister at the house. Thanks so much for that review. I had fun as well. I look forward to doing balloons and new tricks at your next event. The children loved the balloon animals/swords that were made especially the "spider". Emad was very flexible with the time and catered to the adults as well. I would recommend him in the future. Thanks for the review. It was fun doing the spider for the first time since that was a challenge. I'm glad the children were happy. I even had someone ask me to make a raygun on top of a hat from another party I did in the past. That was a challenge as well. Great with the kids and great balloons! I've seen Emad at several events with his balloon twisting. He is always patient with the kids and my kids always love the balloons they get from him. They are done extremely well and and the kids have fun with them! Thanks for that nice review. I enjoy doing it as well. It gives me a nice feeling when I see how happy the children are with the balloons. Thanks A for the nice review. I look forward to twisting balloons and doing tricks at your next event. Emad was very flexible and easy to work with while I was deciding the date and time for my daughter's 5th birthday party. 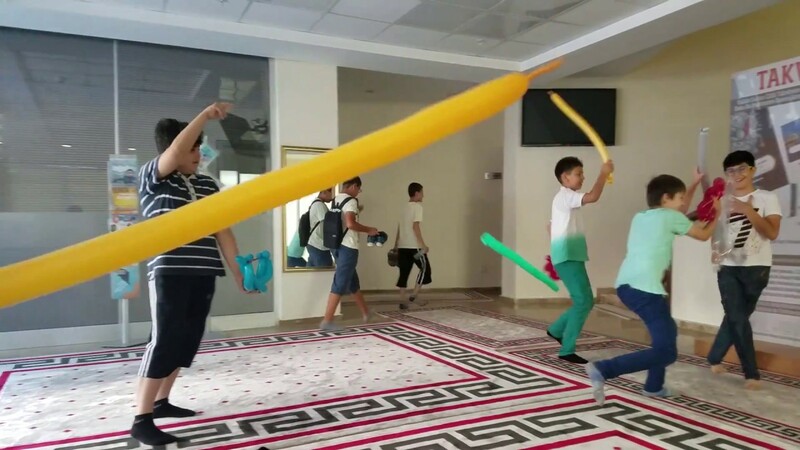 The children were amazed by Emad's magic tricks (some of which his two sons assisted with) and really enjoyed their individual, customized balloons. Even after the children took off to run about the yard with their assorted balloons, Emad remained with the adults doing more tricks (including revealing the "magic" behind some of the tricks). Thanks again Amad for coming to the party. I knew the children would be disappointed and sad if they had no one to make them happy so I was glad to help out. Thanks for the review. Please let your friends know about me. Thanks so much for the nice review. It was fun doing the events for you. I hired Emad the balloon twister for my son's birthday party two years in a row and will be hiring this year. He goes from an action pack magic show to awesome balloon twisting. Every Single child every age from 1 - 16 and all the adults we completely into gig from beginning to end. There is even on trick that makes everyone jump as they are going to get wet with water ... It is awesome. Emad is friendly, very good with kids. I will definetly be hiring again! Thanks Asad Uk for that really wonderful review. It was fun and I look forward to doing the balloons and tricks again for your next event. We hired Emad for our daughter's 2nd Birthday Party. He was on-time and kept the children busy and entertained for the whole time. Kids really loved the magic tricks and balloon twisters. I will highly recommend him for all kind of parties. Glad everyone enjoyed my show. Fun for both adults and kids!!! I hired Emad for a private party to provide entertainment for kids to do tricks and balloon twisting and just as the tricks show started, even the adults were mesmerized by the show and joined in. After the trick show, Emad continued to provide balloon twisting for each kid many many times. The show was a blast! Emad with his warm smile and chuckle, always keeps us amused with his balloon twisting and other bags of tricks. He is an excellent entertainer; its an exciting experience for the kids AND adults in his audience. If you are looking for some clean fun, Emad is it...madly entertaining : EMAD...By the way, i have seen Emad perform on MANY occasions, so the event date below is just a drop in the bucket. GO EMAD!!! Gad to know everyone is enjoying the shows. It's so much fun to do the balloon and tricks. I hired Emad in 2007 the first time and ever since I have brought him to my kids BD parties. He is great with kids. He is versatile and every time I brought him, he has something new to amaze the kids and adults. He has art to present the magic in an amazing way. You will love him once you see his show. Thanks so much for such a nice review! I sure had fun making the children happy and was glad they couldn't guess how I did the tricks. That card trick where my sons joined me in the trick had everyone guessing how we did it. We live in Westford, MA and our balloon twisting and tricks fees are based on how from from Westford we have to travel to your event. I started to play around with balloons around 2007 when my wife got a balloon twisting kit and started making some balloons for a party she was asked to do. When I saw her doing the balloons, I fell in love with seeing that simple balloon become a dog. After the dog, she had difficulty in twisting other shapes and lost interest. But for me, I got hooked! From that time forward I wanted to keep doing it after practicing it on our children. Around the year 2011, I also started to mess around with some magic tricks and I got hooked on that as well after a simple stiff rope mesmerised people as I was learning how to use the rope. Now I use it to make the children laugh when I let them control the tricks. Around 2012 I started doing Balloon Decor after being asked if I could do it for a Baby Shower. It had 2 spiral balloon columns that mirrored each other in pink, white and lilac pearl. I also did a lilac pearl arch with a pearl emerald balloon inside a big clear balloon. Please see the photo gallery. 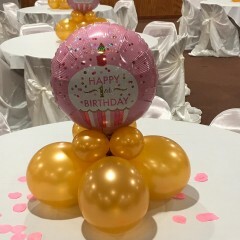 Now I'm doing many different types of balloon decor such as helium designs and balloon table centrepieces of all types such as giant flowers you can see in my gallery. As for the tricks, my approach is not to do a "canned" show, but to use a laid back style playing it by ear and just being myself and enjoying making the kids happy by letting them control the tricks. I just go with the flow. That means that each party or event is different and unique. Some of the tricks I'm doing now are Chinese Linking Rings (they connect to each other in front of the eyes even at close range). In fact I have the children hold the rings and guide their hands to link them. They still don't know how the rings got linked! One funny card trick I do is where the birthday girl or boy has to sit on a playing card that's face down. Next I cut a deck of cards into a number of piles the children choose. I remove piles by waving my hand over the piles and the children tell me when to stop and then I remove a pile under my hand. I repeat this again the the remaining piles leaving 1 left. I take the remaining pile and lift up the top card. I ask the children to concentrate of the unknown card that is sat upon and make that card the same as the top card in the remaining pile. I show everyone the top card. That card that was sat upon and the top card ARE THE SAME! My children also take part in some of the tricks if they are with me. For example I lay out 6 cards on a table, then I pick one of the party kids. That kid and my son go to another room so my son can't see what's going on. I have another kid point to one of the six cards. I have another kid from the party go and get my son. When he returns to the table with the cards he PICKS THE CARD THAT WAS POINTED AT! Seeing the happy faces of children sure gives a warm feeling of joy and it's fun as well. This is the best kind of job in the world. I now offer DJ and Karaoke services with Hindi, English and in other languages with hit electronic music on a DJ sound system that includes an optional moving LED panel and spot lights to enhance your party experience. I was initially asked by many hosts of parties that I entertained at to include music. I started with a couple of Bose home speakers and built up a nice DJ system with 3 Mackie Thump 15" speakers. We now provide DJ services in places that do not have electricity with a 1000 watt battery powered 15" DJ speaker. Perfect for music at parks, etc. And if you're under him, you ain't gettin' over him. I will perform at locations outside of our area if travel and lodging expenses are covered by the event host. Two 1000 watt Turbosound Inspire DJ Speakers and speaker tripods for ear candy :-), Pyle 1000 watt battery powered 15" DJ speaker, Newmark NV DJ Mixer, Chauvet MotionDrape LED, two Chauvet Swarm 5 FX fixtures that combines red and green lasers, white strobe effects and rotating derby effects attached to a Chauvet CoreBar 4 to be used on a tripod to highlight cake table or dance floor (can be made to change colour controlled by the music) or it can be used as uplighting. It can display any colour and each light is controllable with a Chauvet Obey 40 DMX controller, Sennheiser e935 Cardioid Dynamic wired Microphone with microphone stand, Shure Handheld Wireless System with 1 microphone for announcements and Karaoke. Samsung 27" LED monitor to display videos and VJ images synchronised with the music or for video Karaoke. Most of my music is upbeat remixes that are family friendly without any bad language or anything explicit. I do have several videos of original songs to be played on a monitor if you wish to include video Karaoke. Prior to hiring me, please provide me with a list of your favourite songs and your preference (upbeat mixes or originals) and I will have them ready for your party. If food is provided, I can eat Kosher, Halal and vegetarian foods. Because I charge only when performing, I'm flexible. For example. I can do 1/2 hour of performing, then you do cake cutting. I don't charge during the cake cutting unless you are having me DJ music at that time, then after the cake cutting I resume performing. Usually I use a small table at the party location. If you don't have one, please let me know and I will bring mine. Mustafa My son assists in tricks. I was amazed at the street vendors twisting balloons at the Quincy Market in Boston and I wanted to learn how to do the same thing. I now do it and love it especially when I see the happy faces of the children when they play with the balloons I twist for them. People who like balloon decor. Small table if you have one.